Hello MIUIers, hope you are doing well. 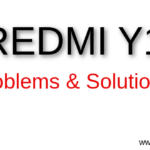 Today we talk about Redmi 5A, Here we discuss about full specifications of Redmi 5A as well as also talk about basic problems which face by XIaomi users during Redmi 5A day to day usages like Battery issue, Charging issue, Hanging problem, Lag issue, Call problem, screen blinking issue, Heating issue, Battery drain problem, Mic problem, sound issue, motherboard issue etc. Here we talk about all possible solutions which you can try before visiting Mi Service center. Redmi 5A is a budget phone comes with up to 3GB RAM & 32 GB storage. But most of the users like its 2GB Ram variant where you get 16GB internal storage. Redmi 5A build with snapdragon 425 processor with 5-inch HD display, So you can enjoy your favorite shows in the good quality. Redmi 5A powered with 3000mAh battery which gives you long survive power for days up to 8 days standby time. Redmi 5A is VoLTE supported device where you can enjoy Jio calling and other Jio features without any problem. If you are facing fast battery drain problem in your new Redmi 5A mobile then don’t need to worry. You can easily solve this issue this is just a software issue you can easily handle this situation. So if your Redmi 5A battery now performing well then you need to check some useful things before visiting Mi Service center. As you know device GPS consumes more power so please disable device GPS if you don’t need on that time. So just scroll down the notification bar and turn off your mobile GPS. You also need to check sync setting on your mobile because many sync mobile apps working in background and sync all data to their server so in this case you also lose your battery power as well as your mobile data. Mostly in Mi phones, Mi cloud sync data so take action according to your need you can check and update Mi sync service like only want to sync contacts and notes not photos or only want photos don’t want to sync contacts and messages etc. You can customize anything in Mi sync option. Here some other apps also want to sync your data like Google Drive, Jio Drive, Sky Drive etc. So you need to check all these apps and take action according to your need. In MIUI 9 you can easily control all sync apps from here. Settings-> Sync -> Here you get all apps which have sync capacity. Here you get all apps which work in background or foreground and sync your personal data to their servers. Here are powerful MIUI gives us an option to configure your sync settings according to your need. You can also customize data option like you want to sync but only when you connected to WiFi only. If you facing fast battery drain issue then you also need to check background apps. In Android mobile, many apps which you installed from play store will start automatically in the background even you don’t need that app but app work in the background and eat battery power, hence the result is fast battery drain in your Redmi 5A mobile. You can control this situation via MIUI security app, Just open Security app in your Redmi 5A and scroll down the screen and find Permissions option. Just tap on this option. here you get Autostart function, Here you can check which app has an auto start permission on your mobile. You can disable which you don’t want to start in the background without your permission. You can also solve your battery drain problem via Battery usages in Security app. Just ope security app and tap on Battery Usages option, Here MIUI tells you that which tasks consuming more battery right now, once MIUI suggests then tap on Analyze Battery Usages option, once you tap on this option MIUI automatically force close all those apps which consuming power in your device. If still, you are facing unnormal battery drain on your mobile then please open updater app and check is there any update available for your device. OR if you update your mobile recently then maybe you face fast battery drain which solved in next updates. make sure you clear all cache data via the cleaner option in security app after getting a new update in your Redmi 5A. If you are facing charging problem in your brand new Redmi 5A then this is really worry thing which you need to short out quickly. If you new Redmi 5A won’t charging then please change the data cable and try. In most of the cases, It will work and once your phone full charge then try your original data cable which you received it will work. However other data cable won’t help you then please change the adaptor like other Xiaomi mobile adaptor or Samsung original adapter, if it will work then might be you get defected charging adapter, In both cases data cable not working or adapter not working, then please visit nearest Mi service center with copy of your phone Invoice. Here you raise a request for accessories replacement. You will get new data cable and adapter on the same day if they have in stock. If you are facing other type charging issue like your phone not charging after 60% or After 80%. OR your phone battery indicator always shows -2 or -1 battery in the battery indicator. This is Battery threshold problem where a limit set by software bugs and your phone won’t charge after that point. So, solve this problem you need to use your phone until your phone reaches 1% battery then charge your phone until phones get a full charge. If not works then again discharge your phone until 2-3% and shut down your phone. Now charge your Redmi 5A in switch off condition till 90-95% now turn on your device and use and check whether the problem still exits or not. Most of the cases, problem solved via these steps, If not solved then please visit nearest Mi service center with phone Invoice copy. This will helps you if your Redmi 5A not charging after a certain point OR you are facing negative vault in your phone’s battery indicator. This problem easily solved via above given instructions. If your Redmi 5A freeze during normal usages or lag during app switching then surely you hate your mobile. As you know MIUI 9 is heavily customized OS and here 2 GB RAM minimum required to perform operations. But you know 2GB is ok ok condition. If you want to experience smoothness of MIUI 9 then you must need a 3GB RAM device or higher RAM device. However we all know Redmi 5A have 2GB RAM, but you can solve hanging issue if you are facing via memory optimization. Click here for a detailed guide with instructions to handle the lag issue in Redmi 5A. Here you can try some simple tricks where you need to clear cache data after your usages and you can also set a time so after a set time cache data automatically clear all non useful cache data. Also, check nonusage background apps, force close all those apps which are not useful. This will help to sort out lagging issues in Redmi 5A mobile. 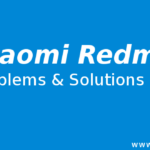 If you are unable to make calls via your phone dialer in Redmi 5A, then this is the very terrible condition. This will happen because of third-party apps. In Indian users case, it will occur because of Jio4G Voice app. So just launch Jio4G voice app and go to settings and turn off /disable access to default dialer permission. Now you can make calls from your default app dialer. In previous MIUI versions, you can easily access all recorded calls in call history. but in MIUI 9 sometimes call recordings show with history, sometimes not. This is known bug and already reported on MIUI forum soon you will get updates with fixes. till then you can access your recorded calls in MIUI 9 Redmi 5A via file manager, All recorded calls stored in MIUI folder. Just open file manager app and navigate to MIUI folder here you get recordings folder where all recordings stored. Just search with your required contact name. This will occur because of several contacts apps like WhatsApp, Telegram, TrueCaller, Jio Chat and other messenger apps. So your contacts showing multiple time. Here your single name shows many times. if you merge these contacts then you face the varied problem where contacts merge with each other. 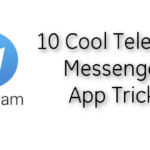 So if you facing this type of issue then please follow this guide, here we share step by step instructions to recover this contact merge issue. Through the help of Mi Message, you can send free messages to all other MIUI users. here you only need a working internet connection. That’s it. If you want to use this Mi Message service in your Xiaomi Redmi 5A mobile then you need to enable this function from settings. Here you can read a detailed guide about Mi Message, in this guide you also learn how to manage Mi messages in Xiaomi phones. If you are unable to open default camera app then please try some other third party app from play store if these third-party apps also unable to access your phone’s camera then you need to visit service center. maybe your drop out your phone from your hands or your phone got a physical damage. If your touch buttons not working like home button not working, recent app touch button not working, back button not working then don’t need to worry. Maybe you accidentally disable these touch buttons. So just scroll down and change the settings of button icon. Else go to settings and change button settings, you can directly search in settings like touch button, button settings etc. If your touch buttons enabled from settings but unable to use touch buttons then you need to try quick ball function which is provided by MIUI. Here you can read detailed guide for touch buttons not working solutions. 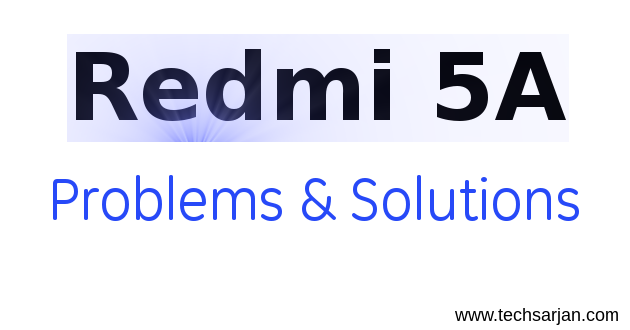 If your Redmi 5A bottom touch screen not working then also this guide helpful for you. If you hide your personal photos from gallery then you need to scroll down album tab and then enter your privacy pattern password now you can see your photos which you hide from the gallery. make sure you enable cloud sync to access these photos. If you hide a video of any other doc file like pdf or other files then you need to open the file manager and scroll down the screen. here you need to enter privacy protection password which may be your fingerprint or pattern or code. If you first visiting hide section then you need to set your privacy protection password. 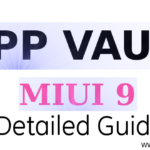 Here about the detailed guide of how to hide photos in Xioami mobiles with step by step instructions. If you don’t remember your password or pattern lock then don’t need to worry. You can easily reset your Redmi 5A password without any problem. make sure you already login with your Mi account in your Redmi 5A. Now just enter wrong pattern/password in your mobile after several wrong attemp system gives a forgot pasword option on the bottom scren. Now tap on this link and enter your Mi account password and reset your phone password easily. If you still face any problem then please tell us via comments. In order to use Xiaomi services you need to have a Mi account, Xiaomi services like Mi Cloud, Mi Message, Mi Notes sync, File hide service, Baby album function, MIUI forum, Mi Store and various services. If you want to use all these services then you must have a Mi account. 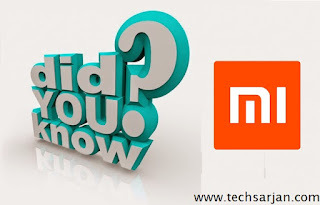 In short, you can’t do or use any service without Mi account in Xiaomi phones. Here you read about Mi account in detail. If you lost your Mi account password which is used in Redmi 5A then don’t need to worry, you can easily reset your Mi account password via the above-given guide. If you face any login error/sync error on your phone after Mi account password update then please enter updates password in your Redmi 5A as well. If you are thinking about the actual benefit of Mi account then here we also share a positive thing of Mi account, suppose you use two Mi devices like Redmi 5A and Redmi 4 then if you use the same account in both phones then you don’t need to transfer your pictures from one phone to another here your photos automatically sync in both phones and you can easily access picture which is clicked by another phone. Here Mi cloud also takes backup of all your apps on Mi cloud so next time you switch your phone you don’t need to install apps one by one. Your phone takes apps from your Mi cloud backup. Here all other things also are sync like Videos, Notes, Phone Contacts, messages, home screen layout, apps etc. 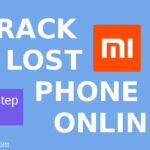 If you are facing some other issues like headphone problem, handphone icon problem, Mic problem, MIUI update problem, touch issues, Motherboard price, screen price, hardware problem etc then please tell us via comments we respond your quires as soon as.